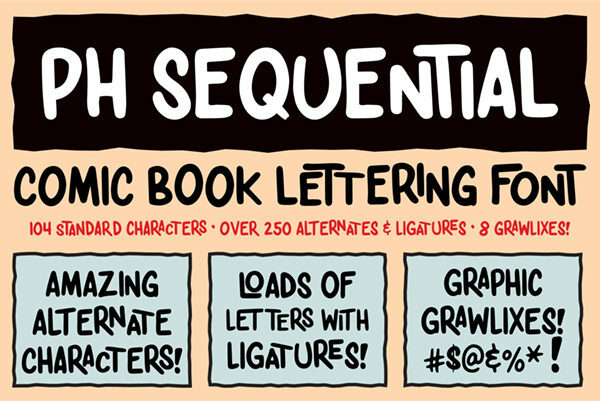 Over the last month in between client jobs, I have been working on creating a comic lettering font: PH Sequential. 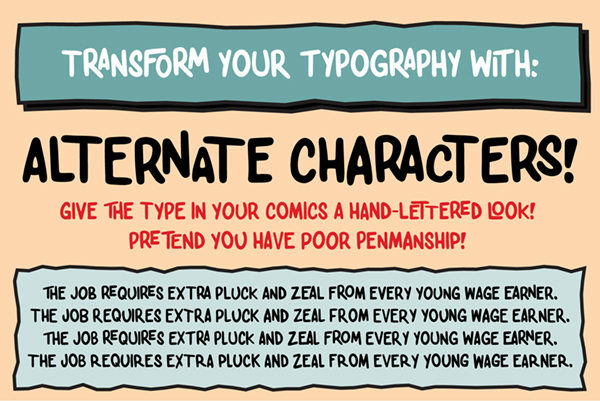 Based on my poor penmanship and horrible handwriting, this Open-Type font helps you create your comics, graphic novels and sequential art in style! 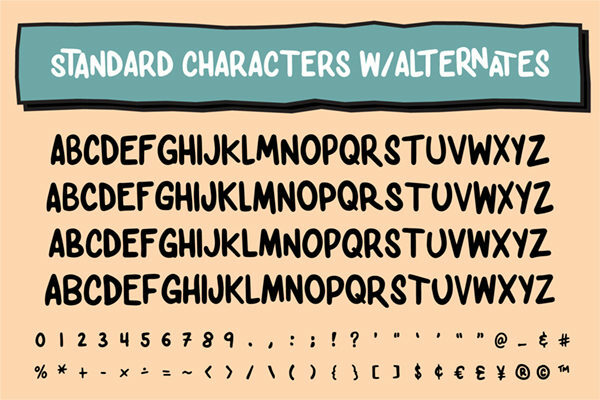 PH Sequential has over 104 standard characters and over 250 alternates & ligatures, to give your typography a more natural, hand-lettered look. 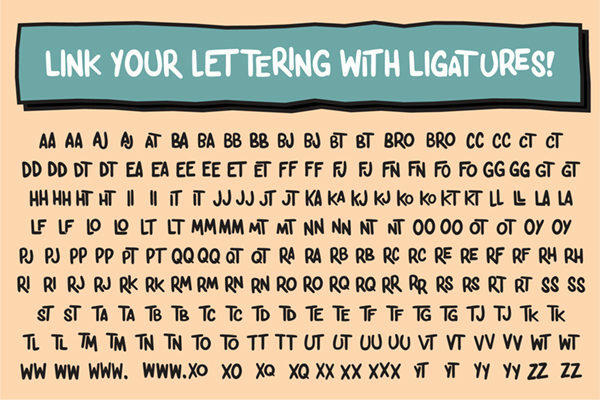 Plus it includes eight automatic grawlix ligatures. For those that aren’t aware, grawlix is the term for a sequence of typographic symbols commonly used in comics to represent profanity. The font is now available from Creative Market.